Properties in Gemeinde Gmünd in Kärnten average 4.6 out of 5 stars. Property 3: typical Apartment in the heart of national park "Hohe Tauern"
Property 12: New apartment ready autumn 2017. On the outskirts of St. Margarethen. 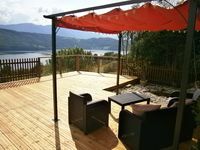 Property 19: Perfect apartment to discover the city, lakes and mountains! 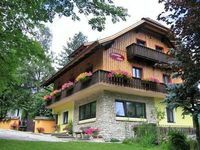 Property 20: Newly furnished appartment at the mouth of the Poller Valley National Park. Property 22: Comfortable appartment located at the edge of the village St. Margarethen. Property 30: Apartment with covered Terrace and peaceful surroundings. Property 31: Nice and modern apartment in a top location in St. Margarethen. Property 38: Good and modern apartment in prime location in St. Margarethen. Property 40: Luxurious apartment in a renovated farmhouse in the centre of St. Michael. Property 43: Vacation in private for couples and families with children - pets please! 6 apartments in a beautiful location with plenty of space for young and old. Property 48: 6 apartments in a beautiful location with plenty of space for young and old. Beautiful place in the hills above a gorgeous lake. Such a lovely and peaceful visit. The location was gorgeous. We would highly recommend it.